I know my silversmithing posts aren't very popular, but I do want to keep this blog as a journal for me too, so I'm going to post about it anyway! Also, I love this piece, I'm so proud of it. 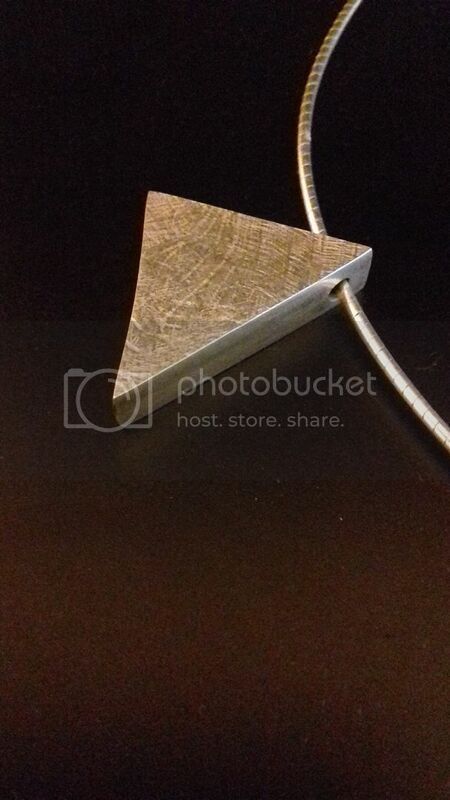 I posted about my copper triangle at the end of last year. I then went on to make one out of silver and I'm in love with it! This is a hollow form. It's made with 0.8mm sheet silver, cut and soldered together and then filed to remove the joins. The top piece has been textured by rolling it through a mill with a piece of fabric. After finishing, I drilled a hole across one of the points to string it. The back was polished to perfection, but I've worn it a lot and it's become marked already! 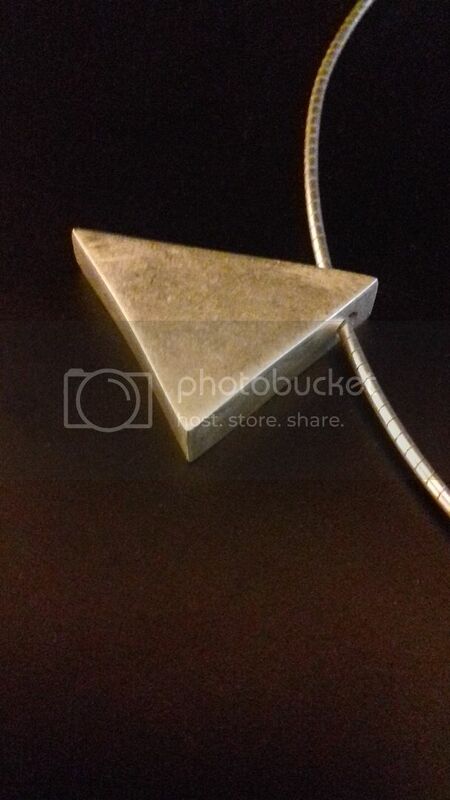 I really like the simplicity of this, with that touch of texture on the metal. I think it looks wonderful. Well done! I love how you got the texture onto the piece, very clever. 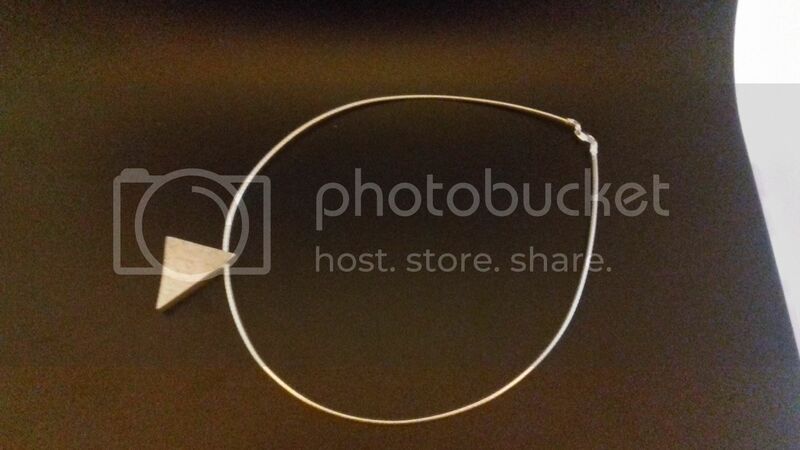 Oh wow, that's a beautiful piece of jewellery; contemporary and very "wearable". By the way; have you ever worked with precious metal clay? Gorgeous! I've never tried anything like that. Whoa. That doesn't look like something you can just make, if you see what I mean? It's like a professional made it. I am super impressed! Love how you have achieved the texture on the piece, it's fab! I can understand why you love this piece - I do too! 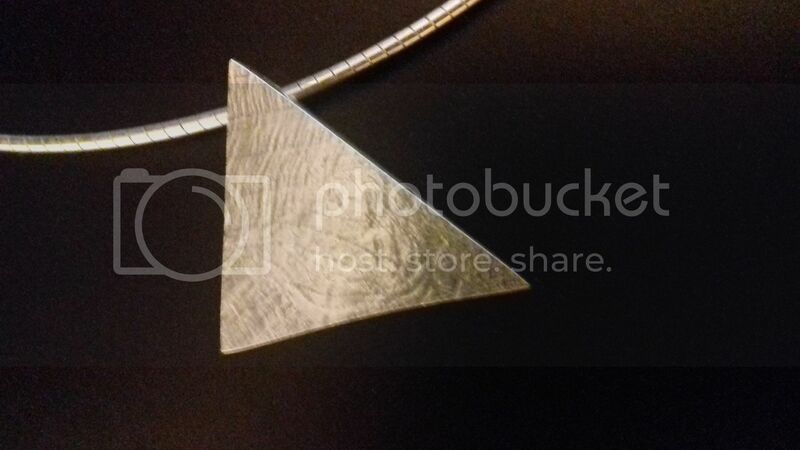 The texture and the triangle shape are fantastic ~ great pendant!!! Well I love your silversmithing posts - they make me long to be able to pick it up again. Fabulous pendant - I can see why you're so pleased with it.